Corey and I are currently packing up and moving into our new home. While we’re busy over the next couple of weeks, I’m sharing a look back at our first home throughout the years. You can go back and see the living room, the dining room, the kitchen, and the master bedroom. When Corey and I bought this home, we had been married for less than a year and had zero thoughts in our heads about kids yet. 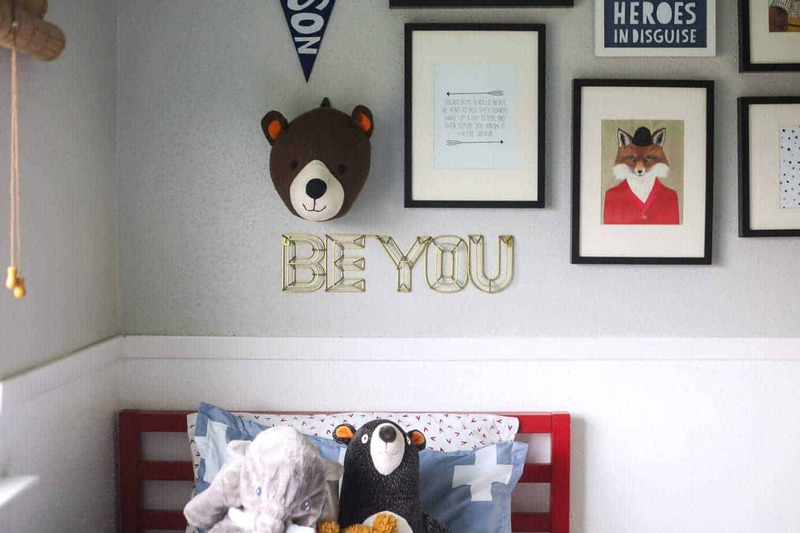 We did know that we’d eventually want kids, though, so the fact that this home had three bedrooms was pretty perfect for us. In all honesty, we didn’t use these two rooms much at all for the first few years we lived here. We don’t have a lot of out of town guests, and we didn’t have much use for an office back then. 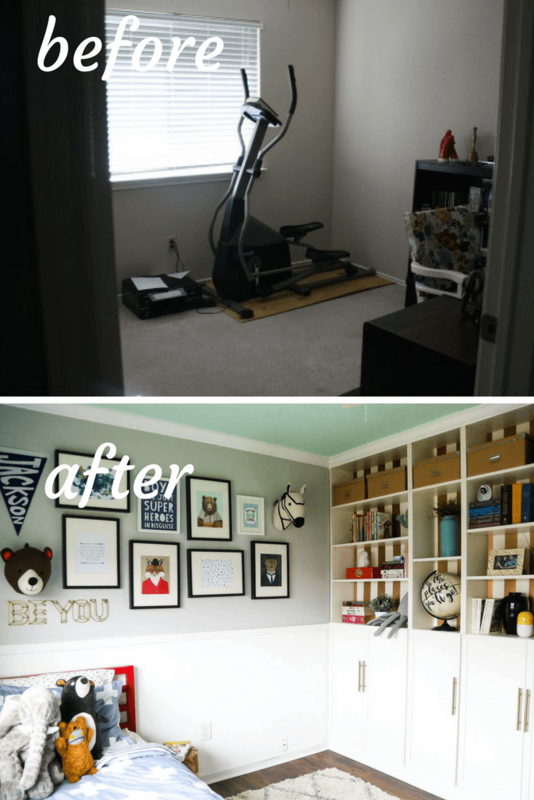 I worked out in the “office” on a daily basis, but other than that these rooms went more or less untouched for a long time. Eventually, one of the rooms turned into our son, Jackson’s, room. The other room, though? It really never saw much use in the time we lived here. It was a guest room for many years (but, again, we don’t have many guests that stay with us), and Corey’s father lived in it for a brief time. Other than that, it was basically a big ol’ storage room. When we decided to sell our house, we emptied the room of the bed and other furniture and I moved my desk up there – it’s gotten more use in the last few weeks now that it’s an office than it ever has before, so maybe we should have done this sooner? Here’s a look back at the two extra rooms in our house over the years. 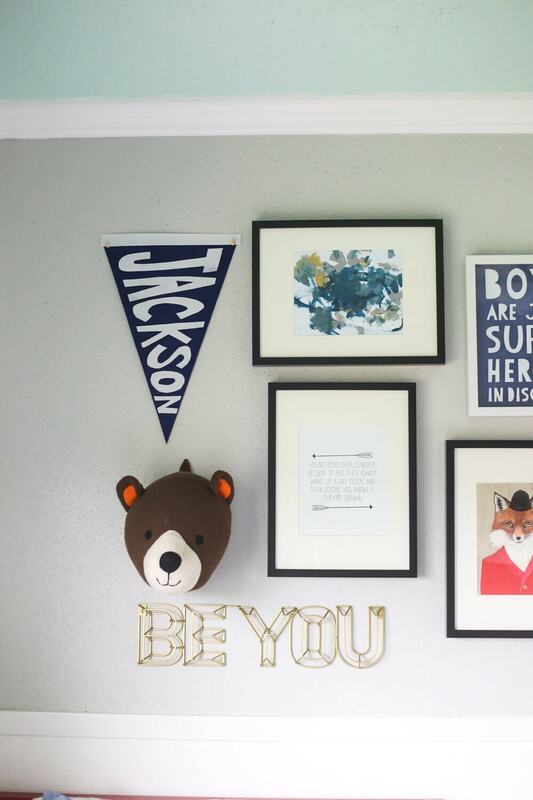 I’ve probably mentioned this a time or two, but I’m just obsessed with Jackson’s room. I love everything about it, and I have been in love with it ever since we turned it into a nursery. I think one of the things I love the most about it is that it’s one of the few spaces in our home where we really added some architectural details – we added built-in BILLY bookcases, a chair rail, and crown molding and I think all of those details just really made the room. It’s a good lesson for me and my brain is already turning with ideas for how we can add more details like this in our new home. This room has seen a lot of change. When we first moved in, we set it up as a makeshift office and it stayed like that until 2013. We very rarely used it (other than the elliptical), and it was a pretty pointless room. In 2013, we competed in Creating with the Stars and turned the room into a (gorgeous) reading room. I absolutely loved that space and it was so nice to have. But, it was our plan all along that the room would eventually become a nursery. I got pregnant shortly after we finished the competition, and we made a few changes to the room to turn it into a nursery. Looking back, it seems silly to me that we didn’t turn the other room into a nursery and make this one the guest room (that way we’d have two pretty, completed rooms), but we wanted the built-ins for the nursery and I’m glad we made that decision because they’ve been so functional! 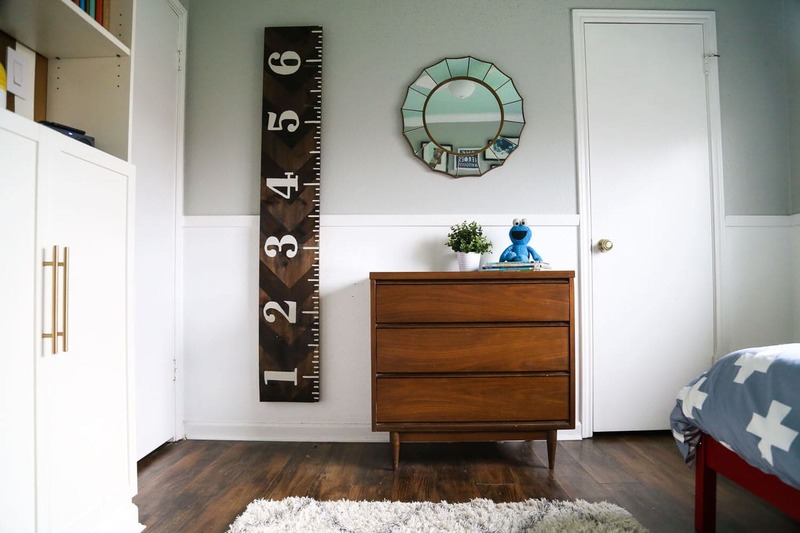 When Jackson turned 3, we swapped the room from a nursery to a “big boy room,” and I just absolutely adore how it turned out. It’s such a happy place to be, and it’s a room I’m going to miss sincerely. 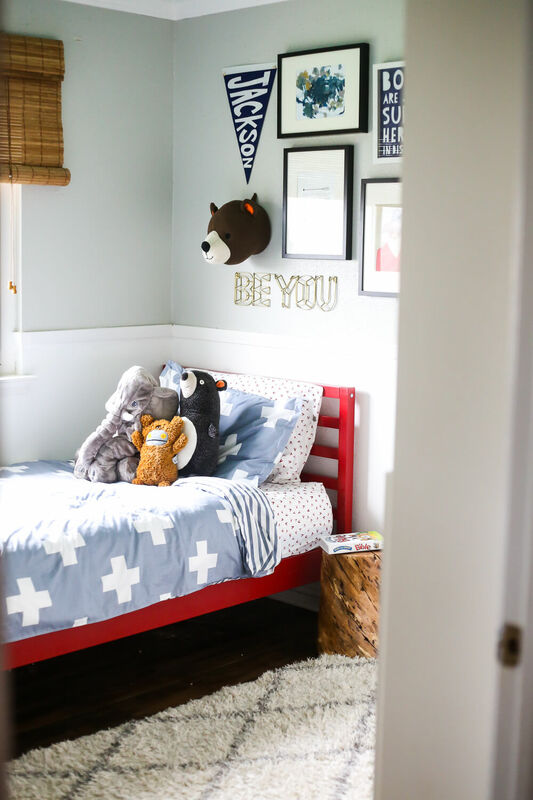 I had a blast designing this room, though, and I’m excited to have a chance to do it again in the new house – and now that Jackson is a little older, he can have lots of input into how his new room looks. Here are some more shots of how his room looks now. Oh, I just love this room! This room always had a bit of an identity crisis. It was a guest room for most of the time that we lived here, but we never put much effort into it (as you can see from the lack of photos or blog posts), and it just never got used the way it should have. Looking back, I think it would have been smarter to turn this room into an office-slash-guest room with maybe a pull-out couch or something along those lines. I actually use it regularly now that we have my desk up there, and I think that probably would have been the way to go. 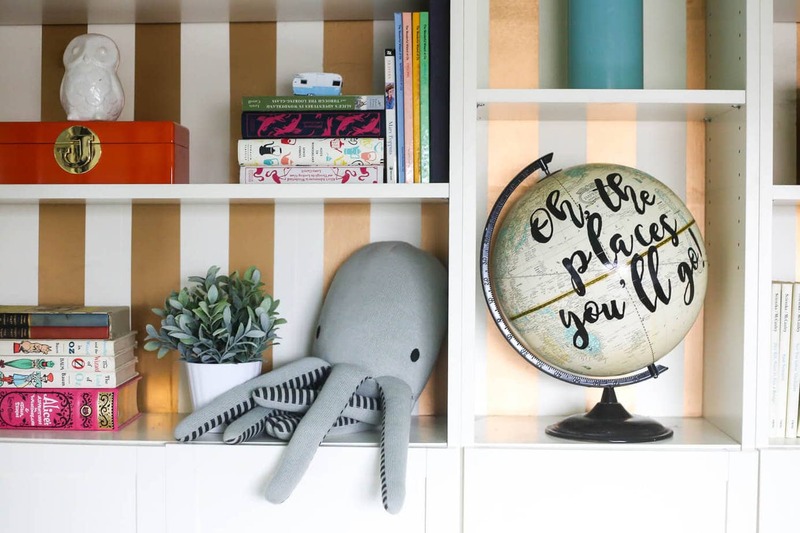 Despite our lack of attention to this room, I really truly love the striped walls in here – they’re so subtle and the soft pink is beautiful. I also did love that brass bed, even though I didn’t ever properly decorate around it. It is such a luxury to have an entire extra room that doesn’t have a specific purpose, and I am a little sad that we always kind of took it for granted. Ah well, we’ve got a third bedroom in the new house too, so we can fix that this time around. And with that, we’ve covered all of the bedrooms in our home. We’ve still got to chat bathrooms and exterior rooms, and then we will be all done. Thanks so much for indulging me on this little journey – it has been so fun to look back on our home over the time we’ve lived here, and hope you’re enjoying this walk down memory lane. Before anything else, just want to say that I’ve enjoyed reading this article! 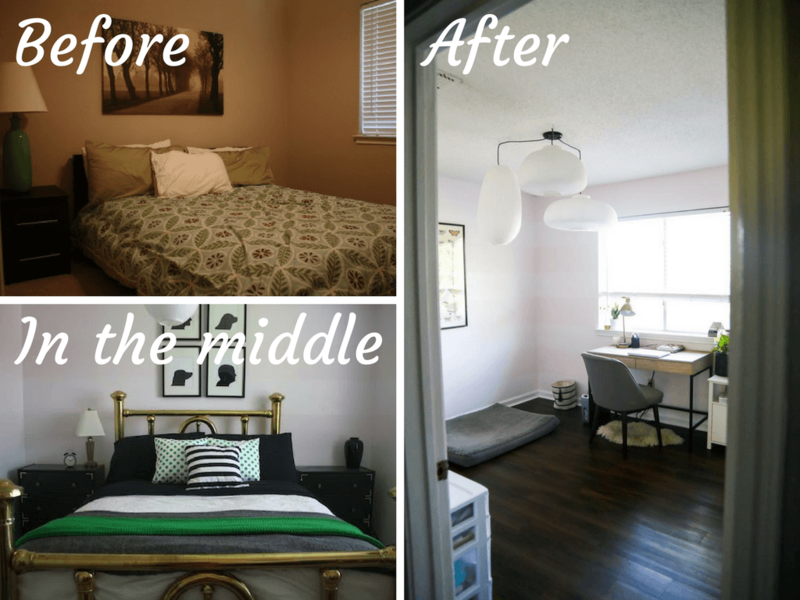 The way the room was renovated and its appearance now is utterly gorgeous. Keep up the good work!